Qidian operates under SEC Regulation D Rule 506(b). The SEC recommends that companies operating under Rule 506(b) forge the pre-existing relationship with investors, and one way to do this is by requiring the 30-day cooling off period. Rule 506(b) prohibits general solicitation, which means that the specific investment opportunities may not be advertised to the general public even though the company may advertise its platform publicly. For any investors to view the real estate investment opportunities, he/she must register and login to the private, password-protected website and then self-certify as an accredited investor. qidiancapitals.com is a website operated by Qidian LLC. and by accessing the website and any pages thereof, you agree to be bound by its Terms of Service. The web site is intended for accredited investors only who are members of Qidian and familiar with and willing to accept the risks associated with private investments. Securities sold through private placements are not publicly traded and are intended for investors who do not have a need for a liquid investment. By signing up to become a member of Qidian web site, the user confirms that that he or she is an accredited investor. The SEC defines ‘Accredited Investor’ under Rule 501 of Regulation D to include a natural person with (1) a net worth or joint net worth with the person’s spouse exceeding $1 million, not including the value of the primary residence, and / or (2) annual income of $200,000 in each of the two most recent years, or joint income with a spouse exceeding $300,000 for those years and a reasonable expectation of the same income in the current year. Any investment in a fund sponsored by Qidian may ONLY be made through the fund's definitive purchase agreement and operating agreement, which will contain important information related to your interest in any investment opportunity described on this website, including restrictions on transfer and risk factors of which you should be aware prior to making any such investment. Investments and projections and other forward-looking statements contained on this website (which are statements other than those of historical fact) are not assurances of future results of your investment through Qidian. You are urged to confer with your legal and tax advisors before making any investment through Qidian. Qidian does not endorse or promote any of the opportunities that appear on this website nor make any recommendations regarding same to any Investor. Prospective investors are not to construe anything on the website as investment, business, legal or tax advice and the content contained herein does not constitute an offer by Qidian LLC to sell, solicit or make an offer to buy an investment interest. Direct and indirect purchase of real property involves significant risk and investments may lose value and are not insured by the FDIC or by any other Federal Governmental Agency nor are they guaranteed by Qidian LLC. Investors must be able to afford to lose their entire investment. The information contained in this Web Site regarding each investment project document is proprietary and strictly confidential. It is intended to be reviewed only by the party receiving it from Qidian LLC. and it should not be made available to any other person or entity without the written consent of Qidian LLC. By taking possession of and reviewing the information contained herein the recipient agrees to hold and treat all such information in the strictest confidence. The receipt further agrees that recipient will not photocopy or duplicate any part of the documents. If you have no interest in the subject property, please promptly return this document to Qidian LLC. This document has been prepared to provide summary, unverified financial and physical information to prospective investors and to establish only a preliminary level of interest in the subject documents. The information contained herein is not a substitute for a thorough due diligence investigation. Qidian LLC. has not made any investigation, and make no warranty or representation with respect to the income or expenses for the subject property, the future projected financial performance of the property, the size and square footage of the property and improvements, the presence of absence of contaminating substances, PCBs or asbestos, the compliance with local, state and federal regulations, the physical condition of the improvement thereon, or financial condition or business prospects of any tenant, or any tenant’s plans or intentions to continue its occupancy of the subject property. The information contained in this document has been obtained from sources we believe reliable; however, Qidian LLC. has not verified, and will not verify, any of the information contained herein, nor has Qidian LLC conducted any investigation regarding these matters and makes no warranty or representation whatsoever regarding the accuracy or completeness of the information provided. All potential associates and lenders must take appropriate measures to verify all of the information set forth herein. Prospective associates and lenders shall be responsible for their costs and expenses of investigating the subject property. Your use of the Site and Service is governed by the then current version of the Agreement in effect on the date of such use. Qidian may, at its sole discretion, modify and replace the Agreement at any time and without prior notice to you by posting the updated Agreement on the Site. By using and accessing the Service, you acknowledge and agree to review the then current version of the Agreement prior to each such use. Your continued use of the Service after any modifications to the Terms have been published on the Service or otherwise provided to you constitutes your acknowledgement of, and binding agreement to, the then current Agreement. Notwithstanding the foregoing, the resolution of any dispute that arises between you and Qidian will be governed by the Terms in effect at the time the events giving rise to such dispute occurred. Qidian further reserves the right, in its sole discretion, to block or otherwise discontinue your access and use of the Site at any time and for any reason. You agree that Qidian and its subsidiaries and affiliates will not be liable to you or to any third party for any such modification, suspension or discontinuance. The Service is available only to individuals who are at least 18 years old (and at least the legal age in your jurisdiction). You represent and warrant that if you are an individual, you are at least 18 years old and of legal age in your jurisdiction to form a binding contract, and that all registration information you submit is accurate and truthful. Qidian may, in its sole discretion, refuse to offer the Service to any person or entity. The Service is not available to any Users suspended or removed from the Site or Service by Qidian. By using the Service, you represent that you have not been previously suspended or removed from the Site or Service. Some of our services, and certain web pages of the Site, are available only to those Users who have been authorized by us to access those services and web pages. Only Users of the Service who are Accredited Investors as defined in Regulation D Rule 501 adopted pursuant to the Securities Act of 1933 (“Accredited Investors”) with a valid User ID and password are authorized to access such services and web pages. Such authorization may require completion of an Accredited Investor Questionnaire and satisfactory background information screening and/or identification verification. By registering for, accessing, browsing, and/or otherwise using the services and/or web pages for which access is restricted to Accredited Investors, you represent and agree that you are an Accredited Investor. Should you cease to be an Accredited Investor at any time, you agree to immediately notify Qidian and to refrain from accessing such restricted portions of the Site and/or Service. Further, because access to the restricted portions of the Site is limited by applicable law to Accredited Investors, you agree that you will not allow anyone to access such restricted portions of the Site, or share or disclose any information obtained through restricted portions of the Site with anyone, regardless of whether you believe such person or entity to also be an Accredited Investor. As part of Qidian’ authorization process, each user shall be required to provide, among other things, a valid email address. In providing your email address and agreeing to these Terms of Service, each authorized user consents to receiving email notifications from Qidian concerning offerings. Additionally, users of the restricted portions of the Site are required to confirm their status as an Accredited Investor. In order for Qidian to confirm that your representation regarding your status as an Accredited Investor is accurate when made and continues to be accurate from time to time, you agree to provide Qidian with all information and documentation reasonably required by Qidian to verify your status as an Accredited Investor, including without limitation, delivering a completed Accredited Investor Questionnaire, tax returns, brokerage statements, bank statements, resumes and other private financial information. Should you fail to provide information and documentation that confirms your status as an Accredited Investor, Qidian may immediately suspend, block or otherwise discontinue your access and use of the Site or Service. 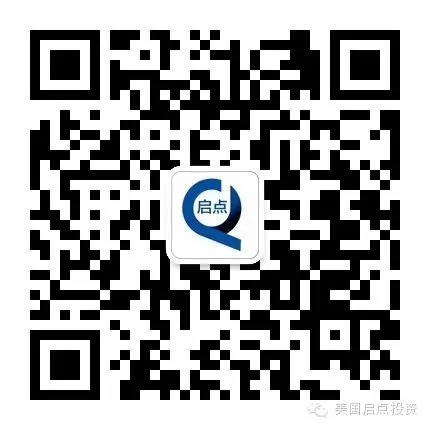 Qidian may change its eligibility criteria at any time, for any reason, and without prior notice. The Service and real estate offerings on this Site are available only to professionals who understand economic and investment risk and are willing to bear the consequences of that risk. Additionally, the real estate offerings on this Site are only suitable for Accredited Investors who are familiar with and willing to accept the high risk associated with private real estate investments. By using the Site or Service, you represent and warrant that if you are an individual, you are of legal age to form a binding contract and that all registration information you submit is accurate and truthful. You acknowledge and agree that you have significant experience investing in investments of the type offered through the Site, including, without limitation, real estate, equities, notes and other securities, you understand that all of the investments offered through the Service are inherently very risky, and you understand the risks associated with the investments offered through the Site, and you are comfortable with the risk of losing your entire investment invested through the Service. You further acknowledge and agree that investing in private placements carries with it low liquidity concerns and long-term commitments and that the securities sold through private placements are not publicly traded. Additionally, Investors may receive restricted stock that may be subject to holding period requirements. For those reasons, these offerings may be made availabile only to certain institutional investors and high net worth individuals and entities. If you are using the Site on behalf of any entity, you represent and warrant that you are authorized to accept this Agreement on such entity’s behalf, and that such entity agrees to indemnify Qidian for violations of this Agreement. You further represent and agree that you understand that Qidian does not guarantee the performance of any offerings made through the Site or Service and any and all projections, estimates, and expectations for investments offered through the Site or Service are merely opinions and should not be relied on for any purpose whatsoever. The value of investments and the income from them can fall as well as rise. Past performance is not a guarantee of future performance. The contents of this Site do not constitute financial, legal, or tax advice. Investors are solely responsible for conducting any legal, accounting or due diligence review. You acknowledge and agree that Qidian is not a registered Investment Company or Investment Advisor within the meaning of the Investment Company Act of 1940 and the Investment Advisors Act of 1940, respectively. You should obtain investment and tax advice from your advisers before deciding to invest. Investment products are not FDIC insured, may lose value, and there is no bank guarantee. None of the information contained in the publicly available portions of the Site constitutes a recommendation, solicitation or offer to buy or sell any securities, options or other financial instruments or other assets or provide any investment advice or service. The information contained in the Site has been prepared without reference to any particular User's investment requirements or financial situation. The information and services provided on the Site are not provided to, and may not be used by, any person or entity in any jurisdiction where the provision or use thereof would be contrary to applicable laws, rules or regulations of any governmental authority or where Qidian is not authorized to provide such information or services. Some products and services described on the Site may not be available in all jurisdictions or to all clients. You acknowledge that you are not relying on Qidian or any of its affiliates, officers, directors, partners, agents or employees in making an investment decision. Always consider seeking the advice of a qualified professional before making decisions regarding your business and/or investments. Qidian does not endorse any investments and shall not be responsible in any way for any transactions you enter into with other Users. You agree that Qidian and its affiliates, officers, directors, partners, agents or employees will not be liable for any loss or damages of any sort incurred as a result of any interactions between you and other users. Unauthorized use of the Site and our Service, including, but not limited to, unauthorized entry into our systems, the misuse or sharing of passwords or misuse of any other information, is strictly prohibited. You may not use the Site in any manner that could damage, disable, overburden, or impair the Service or interfere with any other party's use and enjoyment of the Service. You agree that you will not engage in any activities related to the Site that are contrary to applicable laws or regulations. You may be liable for any losses incurred by Qidian or others due to any unauthorized use of your account. You further agree that you are responsible for any unauthorized use of your password that is made before you have notified us and we have had a reasonable opportunity to act on that notice. Qidian reserves the right at its discretion to suspend or cancel your account and/or password, even without receiving such notice from you, if we suspect that it is being used in an unauthorized or fraudulent manner. You are solely responsible for maintaining the confidentiality of your account and password and agree to promptly report any unauthorized or suspicious activity in your account to us by email at investors@qidiancapitals.com. You may also be liable for any losses incurred by Qidian or others due to any unauthorized use of your account. - Infringes Rights. You agree not to upload, post, email, transmit, submit, or otherwise make available through the Site or Service any material or content that infringes any patent, trademark, copyright, trade secret or other proprietary right of any party, unless you are the owner of such rights or have the permission of the owner to post such content. You further agree to not take any action that infringes any patent, trademark, trade secret, copyright, right of publicity, or other right of any other person or entity, or violates any law or contract, including removing any copyright, trademark or other proprietary rights noticies contained in or on the Site or Service. - Information Disclosure. You agree not to share or disclose to anyone any information obtained through the Site or Service about any investment offerings. - Distribution without Consent. You agree not to distribute in any medium any part of the Site or Service or any content available thereon without Qidian' prior written authorization. The only exceptions are where Qidian makes available the means for such distribution through functionality offered by the Service. - Alterations or Modifications. You agree not to alter or modify any part of the Site or Service. - Submitting False, Defamatory or Harassing Information. You agree not to upload, post, email, transmit or submit or otherwise make available through the Site or Service any inappropriate, defamatory, infringing, obscene, false, misleading, inaccurate, harassing, threatening or unlawful material or content or imply that such content is sponsored or endorsed by Qidian, any of its affiliates or any third parties. You further agree not to take any action that would defame, abuse, harass, stalk, threaten or otherwise violate the legal rights (such as rights of privacy and publicity) of others. - Unlawful Purposes. You agree not to use the Site or Service for any illegal or unauthorized purpose (including, without limitation, in violation of any United States federal and state securities or blue sky laws or regulations, securities exchange or self-regulatory organization’s rules or regulations, consumer protection, unfair competition, and anti-discrimination laws or regulations or equivalent laws or regulations in foreign jurisdictions). - Transfers or Assignments. You agree not to transfer or assign these Terms, and any rights and licenses granted hereunder. - Non-Public Areas. You agree not to access, tamper with, or use non-public areas of the Site or Service or any other computer systems or networks connected to the Service. - Breach of Security Measures. You agree not to breach any of Qidian security or authentication measures. - Unauthorized Access or Contact. You agree not to gain unauthorized access to the Site, Service, any other Qidian website or service, or the computer systems or networks connected to the Service through hacking, password mining or any other means. You further agree not to contact any party or user other than as allowed through the Site or Service. - Generate Artificial Traffic. You agree not to use the Service to artificially generate traffic or page links to a website or for any other purpose not expressly allowed under these Terms of Service. - Commercial Uses. You agree not to use the Service for any commercial uses or purposes, unless you obtain Qidian prior written consent and approval. Such commercial uses include but are not limited to: (i) soliciting other Users for investments of any kind; (ii) offering or selling any products or services of any kind; (iii) making investment recommendations to other Users; and (iv) advertising, sponsorships, or promotions placed on or within the Site or Service. - Disabling Security Features. You agree not to circumvent, disable or otherwise interfere with security-related features of the Service or any other computer systems or networks connected to the Service. You also agree not to circumvent, disable or otherwise interfere with features that prevent or restrict use or copying of any material or content or enforce Service or content use limitations. - Impersonation. You agree not to impersonate any person or entity, including any employee or representative of Qidian, or falsify or delete any author attributions, legal or other proper notices or proprietary designations or labels of the origin or source of any materials. - Other. You agree not to: (i) use the Service or take any action that imposes or may impose (as determined by Qidian in its sole discretion) an unreasonable or disproportionately large load on Qidian’ or its third-party providers’ infrastructure or that could damage, disable, overburden, or impair the Service, or interfere with any other party’s use and enjoyment of the Service; (ii) interfere or attempt to interfere with the proper working of the Service or any activities conducted on the Service; (iii) bypass any measures the Company may use to prevent or restrict access to the Service (or other accounts, computer systems, or networks connected to the Service); (iv) run Maillist, Listserv, or any form of auto-responder or "spam" on the Service; (v) use any robot, spider, site search/retrieval application, or other device to retrieve or index any portion of the Service or collect information about its Users for any unauthorized purpose; or (vi) transmit any viruses, worms, defects, Trojan horses, or any items of a destructive nature. If you create an account and become a registered user of the Service, you agree to (i) provide accurate, current and complete information about you as may be prompted at registration (“Account Information”); (ii) maintain the security of your password and identification; (iii) maintain and promptly update your Account Information, and any other information that you provide to Qidian, to keep it accurate, current and complete; and (iv) accept all risks of unauthorized access to your Account Information and any other information you provide to Qidian. The Site and the Service are and contain proprietary property/content of Qidian (such as logos, copyrights, trademarks, technology, processes, etc.) (“Qidian Proprietary Property”) which may be protected by copyright, trademark, patent, trade secret and other laws. Qidian owns and retains all rights in and to the Qidian Proprietary Property. Qidian hereby grants you a limited, revocable, nonsublicensable license to display and/or utilize the Qidian Proprietary Property solely for your use in connection with using the Site and the Service for the purposes authorized by this Agreement. Except as explicitly permitted in this Agreement or unless you have received express, prior written permission from Qidian or the otherwise applicable rights holder, you do not have the right to use the Qidian Proprietary Property for any commercial use or to receive any monetary or other compensation in connection with the Qidian Proprietary Property. Except as expressly provided by this Agreement, your use of the Qidian Proprietary Property is strictly prohibited. The Site or Service may contain proprietary property/content provided by third party Qidian licensors (such as logos, copyrights, trademarks, etc.) (“Third Party Proprietary Property”). Qidian hereby grants you a limited, revocable, nonsublicensable license to display and/or utilize the Third Party Proprietary Property solely for your use in connection with using the Site and the Service for purposes authorized by this Agreement. You do not have the right to use the Third Party Proprietary Property for any commercial use or to receive any monetary or other compensation in connection with the Third Party Proprietary Property. Except as expressly provided by this Agreement, your use of the Third Party Proprietary Property is strictly prohibited. Unless expressly provided by this Agreement, you may not copy, modify, edit, translate, publish, broadcast, transmit, distribute, perform, display, sell or otherwise use any Qidian Proprietary Property, any Third Party Proprietary Property or any other content appearing on or through the Site. You acknowledge that Qidian is not responsible for, does not control and makes no representation or warranty regarding the reliability, accuracy, usefulness, safety, legitimacy or quality of any content. Qidian does not endorse any content on the Site or any statement, opinion, suggestion or advice contained therein, and Qidian expressly disclaims any and all liability in connection therewith. You agree that you will bear any and all risk of reliance on the accuracy, validity or legitimacy of any content on the Site. You further understand and agree that in the course of your use of the Site and the Service, you may be exposed to content on the Site that is illegal, inaccurate, offensive, indecent or objectionable and you hereby waive, any legal or equitable rights or remedies you have or may have against Qidian with respect thereto. - User Content is made available on or through the Service for informational purposes only and is not otherwise controlled by Qidian. You understand that Qidian does not guarantee any accuracy or confidentiality with respect to any such User Content, and strongly recommends that you think carefully about what you transmit, submit or post to or through the Service. - User Content you submit to the Service or Qidian’ or any Qidian licensee’s use of such User Content pursuant to these Terms, will not: (i) infringe, violate, or misappropriate any third-party right, including any copyright, trademark, patent, trade secret, moral right, privacy right, right of publicity, or any other intellectual property or proprietary right; (ii) violate any applicable laws, rules or regulations (including, without limitation, United States federal and state securities or blue sky laws or regulations, securities exchange or self-regulatory organization’s rules or regulations, or equivalent laws or regulations in foreign jurisdictions); or (iii) require obtaining a license from or paying any fees and/or royalties by Qidian to any third party for the performance of any services you have chosen to be performed by Qidian or for the exercise of any rights granted in these Terms, unless you and Qidian otherwise agree. - All User Content and any information contained in such User Content are the sole responsibility of the person(s) who originated such User Content. This means that you, and not Qidian, are entirely responsible for all User Content that you upload, post, transmit, or otherwise make available through the Service as well as any consequences of submitting and publishing your User Content on the Service. You affirm, represent, and warrant that you own or have the necessary licenses, rights, consents, and permissions to publish User Content you submit; and you license to Qidian all patent, trademark, trade secret, copyright or other proprietary rights in and to such User Content for publication on the Service pursuant to these Terms of Service. - By submitting User Content to Qidian, you hereby grant Qidian and its affiliates, sublicensees, partners, designees, and assignees a worldwide, non-exclusive, royalty-free, sub-licensable and transferable license to use, reproduce, distribute, prepare derivative works of, display, and perform the User Content in connection with the Service and Qidian' (and its successors' and affiliates') business, including without limitation for promotion and redistribution of part or all of the Service (and derivative works thereof) in any media formats and through any media channels. - You hereby grant each User of the Service a non-exclusive license to access your User Content through the Service, and to use, reproduce, distribute, display and perform such Content as permitted through the functionality of the Service and under these Terms of Service. The above licenses granted by you in User Content you submit to the Service terminate within a commercially reasonable time after you remove or delete your User Content from the Service. You understand and agree, however, that Qidian may retain, but not display, distribute, or perform, server copies of your User Content that has been removed or deleted. - You may be exposed to User Content that is, without limitation, inaccurate, inappropriate, misleading, unlawful, offensive or otherwise objectionable and Qidian makes no representations or warranties regarding any User Content, is not responsible for the accuracy, usefulness, or intellectual property rights of or relating to any User Content and does not endorse any User Content submitted to the Service by any user or other licensor, as well as any opinion, recommendation, or advice expressed therein and all such content is offered "AS IS" and "AS AVAILABLE". Qidian does not permit infringement of intellectual property rights on the Site or Service, and Qidian will remove copyright infringing activities or related User Content if Qidian is properly notified that such User Content infringes on another's intellectual property rights. If you believe that your work has been copied in a way that constitutes copyright infringement, or that any material on the Site violates this Agreement or your intellectual property rights, please notify Qidian as soon as possible by sending an email to investors@qidiancapitals.com, or by contacting Qidian’ Agent (listed below), with the following information pursuant to the Digital Millennium Copyright Act (“DMCA”) (please confirm these requirements with your legal counsel, or see the U.S. Copyright Act, 17 U.S.C. §512(c)(3), for more information): (i) an electronic or physical signature of the person authorized to act on behalf of the owner of the copyright interest; (ii) a description of the copyrighted work that you claim has been infringed; (iii) a description of where the material that you claim is infringing is located on the Site, sufficient for Qidian to locate the material; (iv) your contact information, including your address, telephone number, and email address; (v) a statement by you that you have a good faith belief that the disputed use is not authorized by the copyright owner, its agent, or the law; and (vi) a statement by you that the information in your notice is accurate and, under penalty of perjury, that you are the copyright owner or authorized to act on the copyright owner's behalf. For the avoidance of doubt, only DMCA notices should go to Qidian’ Designated Copyright Agent. You acknowledge that if you fail to comply with all of the requirements of this section, your DMCA notice may not be valid. We reserve the right to remove User Content alleged to be infringing or otherwise illegal without prior notice and at our sole discretion. In appropriate circumstances, Qidian will also terminate a User's account if the user is determined to be a repeat infringer. The Site and/or Service may allow you to correspond or otherwise interact with other Users who may provide you with investments, investment information, advice, services and/or events, or provide you with other information about various companies or organizations. You acknowledge that such other Users are not affiliated with or controlled by Qidian or its affiliates, and Qidian cannot influence the investments, information, advice or services provided by them. Your correspondence or interaction with other Users is solely between you and such other Users. You agree that RealtyShars and its affiliates will not be responsible or liable for any loss or damage of any sort incurred as the result of any interactions between you and other Users. Furthermore, if you provide any investments, information, advice or services to other Users through the Services, you acknowledge that you are not affiliated with, or controlled or influenced in any way by, Qidian or its affiliates. Account termination may result in the forfeiture and destruction of all information associated with your account. If you wish to terminate your account, you may do so by contacting Qidian customer service at investors@qidiancapitals.com or by deleting your account and discontinuing your use of the Site and Service. Any fees paid to the Company are non-refundable, unless otherwise specified and you shall remain obligated to pay all outstanding charges, if any, relating to your use of the Site or Service incurred prior to such termination. All provisions of these Terms that by their nature should survive termination shall survive termination, including, without limitation, ownership provisions, warranty disclaimers, indemnity, and limitations of liability. Qidian reserves the right, in its sole and absolute discretion and without any prior notice to you, to modify, correct or replace any of the terms of this Agreement, or change, suspend, or discontinue the Service (including without limitation, the availability of any feature, database or content) at any time. Such modification shall become a part of this Agreement and is automatically effective once posted on the Site. This Agreement may not be orally amended. Qidian may also impose limits on certain features and services or restrict your access to all or a part of the Service without notice or liability. It is your responsibility to check these Terms periodically for changes. Your continued use of the Service following the posting of any changes to the Terms of Service constitutes your acceptance of those changes. Qidian may, now or in the future, charge fees for the use of the Service or certain features thereof. You agree to pay to Qidian all applicable fees for the services purchased on or through the Site or Service under your account at the then-current rates for such services (including any applicable taxes). Service fees will be billed at the time you purchase any applicable services. Unless otherwise communicated to you by Qidian in writing, all fees and charges are nonrefundable. Qidian may change the fees for the use of the Service, or any service or feature provided thereon, or add new fees or charges, at any time. For any change in fees for services purchased under your account, Qidian will send you a notice of such change in advance of such change (via email or a message posted on the Site). Qidian will bill all applicable charges through the payment method specified in your account (e.g. a credit card or electronic funds transfer). If you pay any applicable fees with a credit card, Qidian may seek pre-authorization of your credit card account prior to your purchase to verify that the credit card is valid and has the necessary funds or credit available to cover your purchase. You authorize such credit card account to pay any amounts described herein, and authorize Qidian to charge all sums described herein to such credit card account. You agree to provide Qidian updated information regarding your credit card and account upon Qidian’ request and any time the earlier provided information is no longer valid. YOU AGREE THAT YOUR USE OF THE SITE AND SERVICE AND ANY CONTENT, PRODUCTS, SERVICES, OR FEATURES MADE IN CONJUNCTION WITH OR THROUGH THE SERVICE SHALL BE AT YOUR SOLE RISK AND UNLESS OTHERWISE EXPRESSLY STATED BY QIDIAN, ARE PROVIDED “AS IS” AND “AS AVAILABLE”. TO THE FULLEST EXTENT PERMITTED BY LAW, QIDIAN, ITS OFFICERS, DIRECTORS, EMPLOYEES, AND AGENTS DISCLAIM ALL WARRANTIES, EXPRESS OR IMPLIED, IN CONNECTION WITH THE SERVICE AND YOUR USE THEREOF, INCLUDING, BUT NOT LIMITED TO, IMPLIED WARRANTIES OF MERCHANTABILITY, FITNESS FOR A PARTICULAR PURPOSE, NON-INFRINGEMENT OF PROPRIETARY RIGHTS, COMPLIANCE WITH UNITED STATES FEDERAL AND STATE SECURITIES OR BLUE SKY LAWS OR REGULATIONS, SECURITIES EXCHANGE OR SELF-REGULATORY ORGANIZATION’S RULES OR REGULATIONS, AND EQUIVALENT LAWS OR REGULATIONS IN FOREIGN JURISDICTIONS, CORECTNESS, ACCURACY AND RELABIILITY. - ANY ERRORS OR OMISSIONS IN ANY CONTENT OR FOR ANY LOSS OR DAMAGE OF ANY KIND INCURRED AS A RESULT OF THE USE OF ANY CONTENT POSTED, EMAILED, TRANSMITTED, OR OTHERWISE MADE AVAILABLE VIA THE SERVICE. QIDIAN DOES NOT WARRANT, ENDORSE, GUARANTEE, OR ASSUME RESPONSIBILITY FOR ANY PRODUCT OR SERVICE ADVERTISED OR OFFERED BY A THIRD PARTY THROUGH THE SERVICE OR ANY HYPERLINKED SERVICES AND QIDIAN WILL NOT BE A PARTY TO OR IN ANY WAY BE RESPONSIBLE FOR MONITORING ANY TRANSACTION BETWEEN YOU AND THIRD-PARTY PROVIDERS OF PRODUCTS OR SERVICES. QIDIAN AND ITS AFFILIATES HAVE NO SPECIAL RELATIONSHIP WITH OR FIDUCIARY DUTY TO YOU AND WITHOUT LIMITING THE FOREGOING, MAKE NO REPRESENTATION OR WARRANTY WITH RESPECT TO THE MERITS AND RISKS OF ANY INVESTMENTS MADE BY USING OR THROUGH THE SERVICE. AS WITH THE PURCHASE OF A PRODUCT OR SERVICE THROUGH ANY MEDIUM OR IN ANY ENVIRONMENT, YOU SHOULD USE YOUR BEST JUDGMENT AND EXERCISE CAUTION WHERE APPROPRIATE. QIDIAN IS NOT RESPNOSIBLE FOR VERIFYING THAT ANY INVESTOR OR USER IS AN ACCREDITED INVESTOR BEYOND REVIEWING INFORMATION SUBMITTED DIRECTLY TO QIDIAN. QIDIAN DOES NOT RECOMMEND ANY INVESTMENT OPPORTUNITIES SPECIFICALLY TO OR FOR ANY USER OR ENDORSE THEIR SUITABILITY FOR INVESTMENT BY ANY SPECIFIC USER. - INTERRUPTION OR CESSATION OF TRANSMISSION TO OR FROM OUR SERVICES, ANY BUGS, VIRUSES, TROJAN HORSES, OR THE LIKE, WHICH MAY BE TRANSMITTED TO OR THROUGH OUR SERVICES BY ANY THIRD PARTY, AND/OR ANY ERRORS OR OMISSIONS IN ANY CONTENT OR FOR ANY LOSS OR DAMAGE OF ANY KIND INCURRED AS A RESULT OF YOUR USE OF ANY CONTENT POSTED, EMAILED, TRANSMITTED, OR OTHERWISE MADE AVAILABLE VIA THE SERVICES, WHETHER BASED ON WARRANTY, CONTRACT, TORT, OR ANY OTHER LEGAL THEORY, AND WHETHER OR NOT THE COMPANY IS ADVISED OF THE POSSIBILITY OF SUCH DAMAGES. THE FOREGOING LIMITATION OF LIABILITY SHALL APPLY TO THE FULLEST EXTENT PERMITTED BY LAW IN THE APPLICABLE JURISDICTION. THIS LIMITATION OF LIABILITY ALSO APPLIES WITH RESPECT TO DAMAGES INCURRED BY YOU BY REASON OF ANY PRODUCTS OR SERVICES SOLD OR PROVIDED ON ANY LINKED SITES OR OTHERWISE BY THIRD PARTIES OTHER THAN QIDIAN AND RECEIVED THROUGH THE SERVICES OR ANY LINKED SITES. IN NO EVENT WILL QIDIAN’ OR ITS AFFILIATES’, CONTRACTORS’, EMPLOYEES’, AGENTS’, OR THIRD-PARTY PARTNERS’ OR SUPPLIERS’ LIABILITY TO YOU FOR DAMAGES, LOSSES, AND CAUSES OF ACTION ARISING OUT OF OR RELATING TO THIS AGREEMENT OR YOUR USE OF THE SERVICE OR YOUR INTERACTION WITH OTHER USERS (WHETHER IN CONTRACT, TORT INCLUDING NEGLIGENCE, STRICT LIABILITY, WARRANTY, OR OTHERWISE) EXCEED THE AMOUNT PAID BY YOU, IF ANY, FOR ANY ACCESS TO OR USE OF the SERVICE OR ANY PART THEREOF, OR ONE HUNDRED DOLLARS, WHICHEVER IS GREATER. APPLICABLE LAW MAY NOT ALLOW THE LIMITATION OR EXCLUSION OF LIABILITY OR INCIDENTAL OR CONSEQUENTIAL DAMAGES, SO THE ABOVE LIMITATION OR EXCLUSION MAY NOT APPLY TO YOU. IN SUCH CASES, QIDIAN’ LIABILITY WILL BE LIMITED TO THE FULLEST EXTENT PERMITTED BY APPLICABLE LAW. This defense and indemnification obligation will survive this Agreement and your use of the Service. Qidian reserves the right to assume the exclusive defense and control of any matter otherwise subject to indemnification by you, in which event you will assist and cooperate with the Company in asserting any available defenses. This Agreement (and any further rules, policies, or guidelines incorporated by reference) shall be governed by and construed and enforced in accordance with the laws of the Commonwealth of Virginia as they apply to agreements entered into and to be performed entirely within Virginia between Virginia residents, without giving effect to any principles of conflicts of law, and without application of the Uniform Computer Information Transaction Act or the United Nations Convention of Controls for International Sale of Goods. By your agreement to the Terms and your use of the Qidian’ Service, you agree to submit to personal jurisdiction in Virginia for all purposes, and you agree to waive, to the maximum extent permitted by law, any right to a trial by jury for any matter. Unless otherwise agreed in writing by you and Qidian, any dispute arising out of or relating to the Terms, or any breach thereof, shall be finally resolved by binding arbitration administered by the American Arbitration Association under its Commercial Arbitration Rules, or such arbitration body as required by law, rule or regulation, and final judgment upon the award rendered by the arbitrator may be entered in any court having jurisdiction. The arbitration will be conducted in the English language before a single arbitrator in Virginia. Such arbitration must be commenced within one (1) year after the claim or cause of action arises. Judgment on any award entered by the arbitrator may be entered in any court having jurisdiction thereof. Notwithstanding the foregoing, either Qidian or you may apply to any court of competent jurisdiction for injunctive relief without breach of this arbitration provision. Any cause of action arising out of or related to the Service, and all products and services offered via the Qidian Site or Service must commence within one (1) year after the cause of action accrues. Otherwise, such cause of action is permanently barred. You acknowledge and agree that you may bring claims against Qidian only in an individual capacity and not as a plaintiff or class member in any purported class or representative proceeding. By using the Service, you consent to receive from Qidian, or any of its affiliates, officers, directors, partners, agents, or employees, all communications, including notices, agreements, legally required disclosures, or other information in connection with the Service or investment offerings made available to you via the Service (collectively, "Notice Information") electronically. Qidian may provide the electronic Notice Information by posting them on the Site or sending the Notice Information to the email address you provided to Qidian during the account registration process. If you desire to withdraw your consent to receive Notice Information electronically, you must discontinue your use of the Service. Except as explicitly stated otherwise, legal notices will be served, with respect to Qidian and the Site or Service, to investors@qidiancapitals.com. Electronic Communication Privacy Act Notice (18usc 2701-2711): Qidian makes no guaranty of confidentiality or privacy of any communication or information transmitted on the Site or any website linked to the Site. Qidian will not be liable for the privacy of email addresses, registration and identification information, disk space, communications, confidential or trade-secret information, or any other content stored on Qidian’ equipment, transmitted over networks accessed by the Site, or otherwise connected with your use of the Service. Questions? Please email us at investors@qidiancapitals.com.